With two months left until ICE USA 2013, the show is already on pace to be 30% larger than the 2011 show. Not only is this year’s show on track to bring a record number of attendees from the converting industry, the 2013 event already has attracted over 100 new exhibitors that will be joining the more than 200 returning exhibitors to make this the largest converting event in North America. Some of the companies who will be exhibiting at the Show for the first time include: Totani America, Flint Group Flexographic Products, TGW International, H.B. Fuller, Flexo Wash and Eye-C America. They will be joining such well known ICE USA Alumni as: Comexi, Maxcess, Daetwyler, New Era, Montalvo, Mitsubishi Materials, Siemens, Nordson, ISRA VISION, Sonoco, Uteco, Catbridge, Advanced Photonix and many other global converting equipment suppliers. For ICE USA 2013, many of the new as well as returning exhibitors have reserved larger exhibit space to display running machinery. Converting industry professionals who are looking to discover the latest products, technologies and industry trends have told us that they prefer seeing running equipment on the show floor. 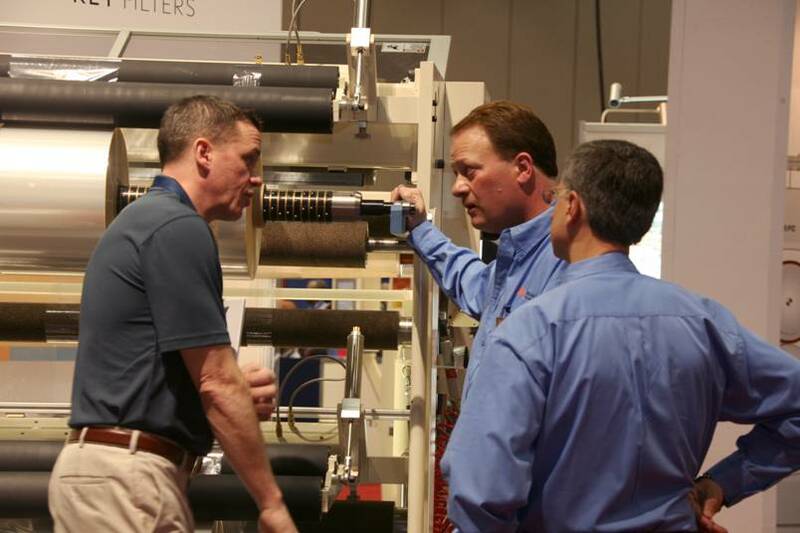 In addition to more opportunities to talk to new exhibitors, ICE USA 2013 will also feature the most comprehensive educational program in the converting industry. This year’s ICE USA Conference sponsored by AIMCAL will feature nearly 40 educational sessions covering a variety of technical management and operational issues. The leading industry associations (AWA, CEMA, PSTC, RadTech, TAPPI Place) will bring together top experts from various industry segments to conduct a variety of seminars and conference sessions addressing the most important issues and solutions impacting the converting industry today and in the future. For a full list of exhibitors, educational programs or other information about ICE USA 2013, visit www.ice-x-usa.com.